White mould cheeses ripen from the outside in, and include brie, camembert and triple cream. Traditional brie is made in large wheels about 35cm in diameter and 3kg in weight and developed in the Brie region of France. 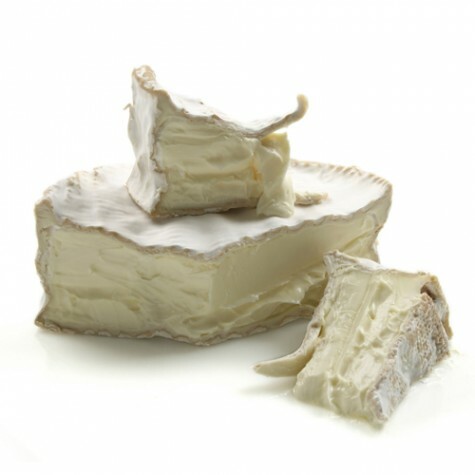 Brie has a fungal smell but slightly sweet milky character; it develops a soft smooth buttery texture and a rich concentrated flavour with just a hint of ammonia. Traditional camembert is made in small wheels about 11cm in diameter and 250g in weight; it is produced in the Camembert region of France. Camembert has a chalky centre when young but as it develops it has a sticky supple texture and an aroma very similar to cooked cauliflower. Triple cream cheese usually have 25% cream or crème fraiche added at the start of production making them very rich and indulgent.